In her long nursing career, Barbara Van Droof has worked as an educator and an advocate, with a special interest in elderly patients, long-term care and end of life with dignity. She has acted as an advisor and curriculum developer on behavioral health issues such as mental illness, substance abuse, working with angry behaviors in clients and families and caring for the person with AIDS. She has served WSNA and numerous other nursing organizations at the local and national level to advance the interests of patients and the profession of nursing. Van Droof earned her nursing diploma from the Presbyterian St. Luke’s Hospital School of Nursing in Chicago in 1960. She went on to the University of Washington to earn her Bachelor of Science in Nursing in 1965 and her Master of Nursing in 1972. She completed post-Master’s work to become an ARNP in Adult Nursing in 1994. Van Droof has been a member of WSNA since 1962. Her interest and expertise in adult care is evident in the many positions she has held with the association. In 1979 she was elected chair of the WSNA Gerontology Interest Group, and she went on to serve with the group in various capacities into the 1980s. 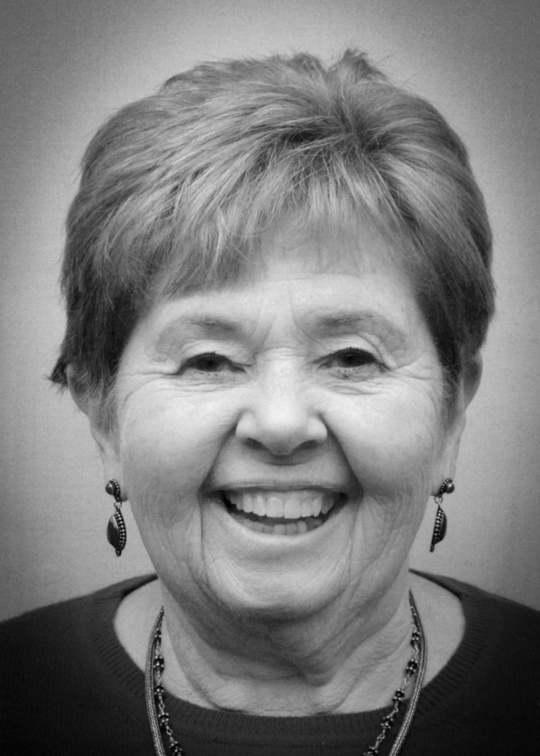 She served on the WSNA Bylaws Committee from 1986 to 1990 and on the Legislative Committee from 1988 to 1990. In 1992, Van Droof traveled to Olympia and Washington, D.C. to speak in committee meetings about issues related to older adults, elder abuse and end of life. Beginning in 1970, Van Droof served on the faculty at Shoreline Community College for more than 37 years, most of that time as a full-time professor. She continually worked to enhance the curriculum and engage students in meaningful experiences. She integrated palliative care concepts into the curriculum and involved students in co-leading volunteer groups in adult day health and outpatient mental health settings. Van Droof tutored many students and was especially successful with non-native speaking students, including RNs from outside the U.S., to successfully complete psychiatric nursing for NECLEX. With a Workforce and Economic Development grant award from Shoreline Community College, Van Droof completed a two-year project in 2005 on dietary technicians, health care information technicians, medical laboratory technicians and associate degree nurses that led to forward-thinking curriculum development to meet the needs of the current and future workplace. In addition to her work at Shoreline Community College, Van Droof taught Master’s level advanced assessment and clinical skills in the nurse practitioner program at Seattle Pacific University for four summers, between 2002 and 2006. Her research, training and curriculum development included working with Western Washington University to develop, present and evaluate conferences as mandatory statewide continuing education courses for DSHS adult service workers and supervisors on “Working with vulnerable adults: chronically mentally ill, abused older adults, persons who misused alcohol and developmentally disabled adults.” The pioneering curriculum was used to increase the standard of care and improve self-confidence in DHSH social service workers. Van Droof was a longtime member of the National League for Nurses, a national organization for faculty nurses and leaders in nurse education, and served the state organization, Washington League for Nursing as president from 1998 to 2004. As part of that work, Van Droof in 2001 sponsored a nursing summit to develop a strategic plan for nursing education in Washington state. Work from that summit and meetings of nurse leaders led to creation of the Washington Center for Nursing in 2003. Both before and during her time as a nursing professor, Van Droof worked as a staff and charge nurse in numerous facilities in intensive care units, in-patient specialty units and public health. After she received her ARNP certification, she worked in long-term care for 10 years at Cascade Vista and Evergreen Vista convalescent centers. In 2007, Van Droof joined the board of the Peoples’ Memorial Association, a non-profit organization specializing in dignified death planning, education and care that reflect the client and families’ values and resources. In her five years on the board, Van Droof facilitated a reorganization of PMA, helped sponsor a national convention in Seattle in 2010 and lectured on benefits of PMA membership to facilitate education on pre-planning funeral and memorial options such as green burials. She served on the national board of the Funeral Consumers Alliance from 2011 to 2014. Van Droof was given the Shoreline Community College Women’s Center Woman of the Year award in 1989 and was selected as the King County Nurses Association Nurse of the Year in 2002.